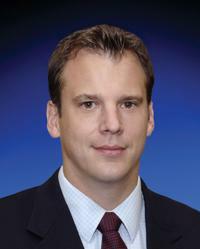 Christopher Looze, MD, is an orthopedic surgeon who is fellowship trained in sports medicine. A former professional baseball player within the Toronto Blue Jays organization, he has a personal passion for sports and wants his work to have a positive impact on the athletes of today and tomorrow. As part of the MedStar Sports Medicine team, Dr. Looze is a team physician for the Baltimore Orioles. Prior to joining MedStar Orthopedic Institute, he completed a fellowship at the Andrews Sports Medicine and Orthopaedic Center, recognized globally as a leader in orthopedic patient care, research, education and injury prevention. Dr. Looze earned his medical degree at the New York University School of Medicine, followed by completion of a residency at NYU Hospital for Joint Diseases.